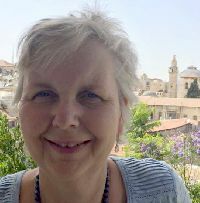 Dilys is an experienced Spiritual Director who loves accompanying others on their spiritual journey both individually and through leading Quiet Days. She is a trained Pastoral Supervisor and has been involved in pastoral work for many years including 12 years on the mission field. She currently is a pastoral worker in her local church and continues to lead cross church prayer initiatives in Tunbridge Wells.